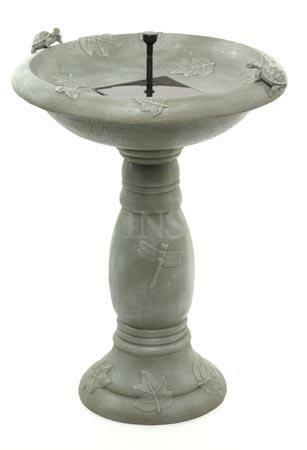 Add this Country Gardens Solar Birdbath Fountain to your garden decor, patio or landscape. This fountain is definitely for the birds. 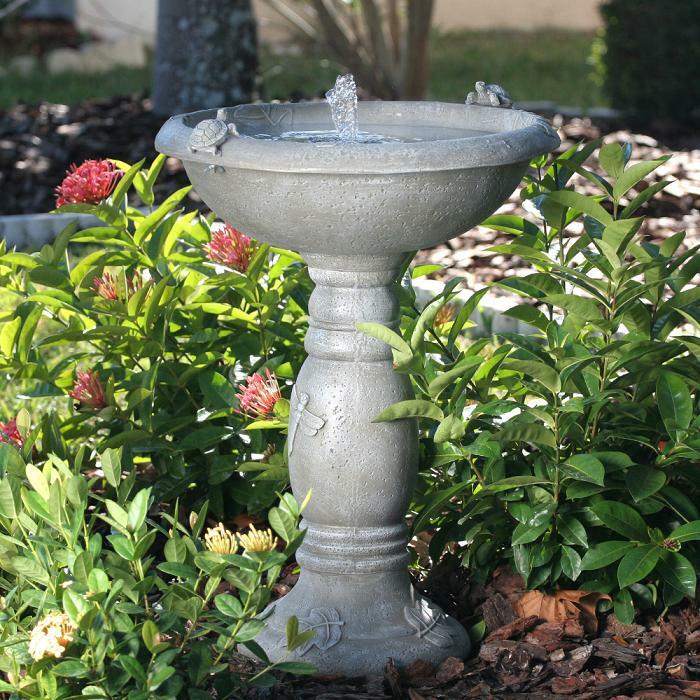 Direct sunlight transforms this large Fountain / Birdbath into a freestanding, re-circulating, expense free fountain. 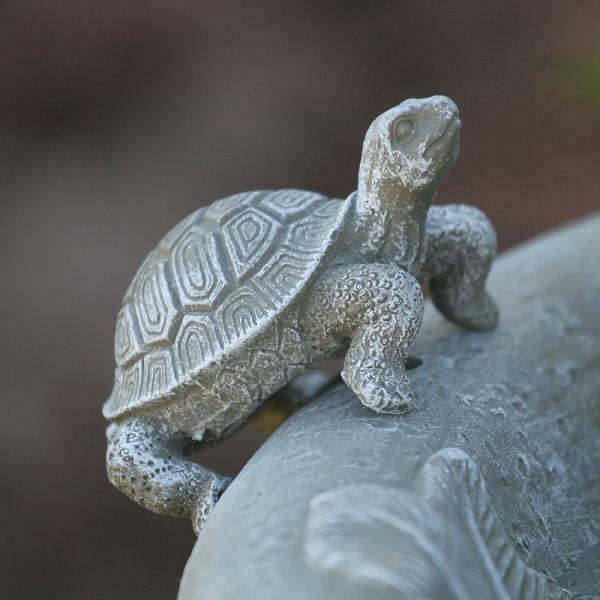 The birdbath fountain has a built-in solar panel with a hidden reservoir to hold approximately 2.5 gallons of water in 2 inch deep bath bowl. Low-voltage water pump and filter keep recycling the same water, so there is no need for expensive and messy water hookups.Birds and birdwatchers alike will enjoy it for seasons to come. This solar birdbath must be placed in direct sunlight to operate.